As an entrepreneur, you will know only too well that you have a wide range of responsibilities to bear on your shoulders. But when you are managing a business in which people work for you, leading your staff in the right direction is a central part of this. When you are a good leader, you motivate your employees to give you their best work, you ensure your business is running efficiently, and you also help to ensure that you don’t need to continually hire new members of staff. Becoming a better leader takes time and effort, but here are just some of the ways that you can achieve this aim. Some bosses just tell their staff what to do all the time, rather than getting involved to guide them in their tasks. 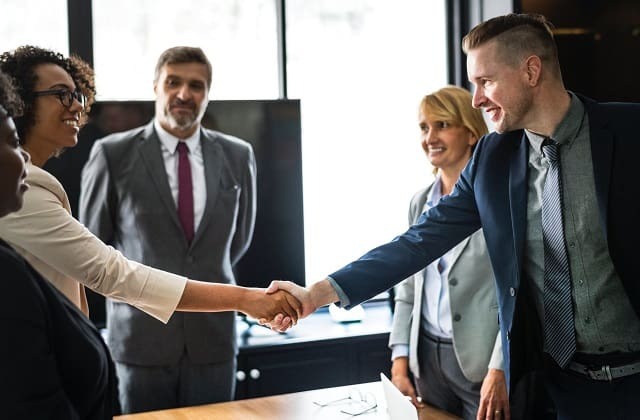 Not only will your staff respect you when you get involved in different aspects of your business, you will also get to know your company from a wide range of angles, which is always going to benefit your entrepreneurial skills. If you don’t understand a process but dictate how it should be done anyway, this is inevitably going to lead to a build-up in resentment. Arrogance is not an attractive quality in a leader, whereas humility is. There is nothing wrong with acknowledging that you make mistakes from time to time as long as you learn from them. And it is also okay to admit when you aren’t sure of something, and you need the input of others to help you make up your mind. However, the final decision is always going to be yours to make. The world of business is one which adapts and changes all the time, so a commitment to lifelong learning is a great thing for a leader to make. You can learn simply by reading books and articles on a regular basis. But you can also do this by taking more structured courses such as msn leadership online. Unfortunately, far too many business leaders get stuck in their ways when they experience success from doing things one particular way. Keep learning and it is much more likely that you will keep innovating as well. When people understand your goals and see that you are passionate about achieving them, they are much more likely to want to help you do this. A big part of this is strong communication, but you also need to praise people for the jobs that they do well. You also need to be able to clearly explain why when you want things to be done differently. This goes for all industries whether it's real estate, marketing, software, construction, sales, education, finance, or any other sector. Ultimately, it is important that you find your own leadership style, but these four guiding principles should help to steer you onto the right path. Becoming a better leader takes a great deal of time and commitment, but the effort will pay off in the long-run. I hope you enjoyed this article about how to become a better business leader at your company or startup.